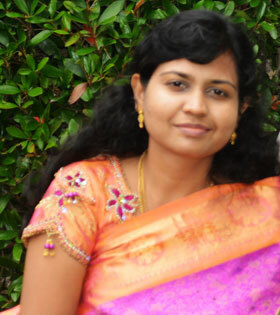 Methi seeds - 1/2 tsp. Pressure cook dal with the ingredients listed below ‘To Pressure cook’ until the dal is cooked. Do not add salt to this. Soak tamarind in water and extract the juice and chop the veggies. Cook veggies in enough water till it’s 3/4th cooked with salt and sambar powder added to this. Once the dal is cooked, mash it with a ladle. Add the extracted tamarind juice and also the 3/4th cooked veggies to the cooked dal and boil it in low to medium heat for 5 minutes. 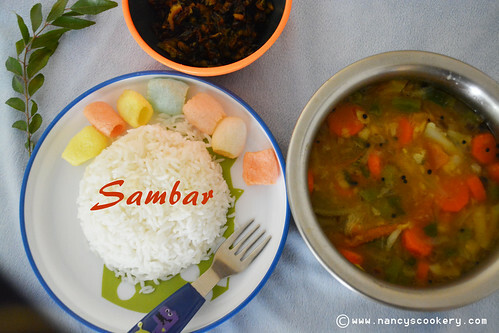 Now temper using the ingredients under ‘Tempering’ and add it to the sambar. Switch off the heat, garnish with chopped cilantro and keep the cooker closed for 2 minutes. Pressure cook dal with the ingredients listed below ‘To Pressure cook’ until the dal is cooked. Do not add salt to this. Soak tamarind in water and extract the juice and chop the veggies. Add the extracted tamarind juice and also the 3/4th cooked veggies to the cooked dal and boil it in low to medium heat for 5 minutes. 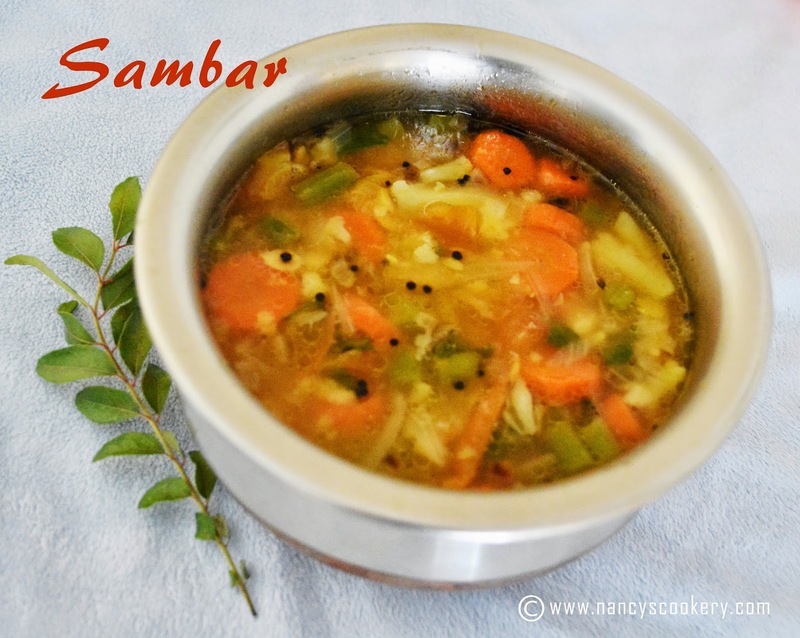 Now the sambar is ready to serve.